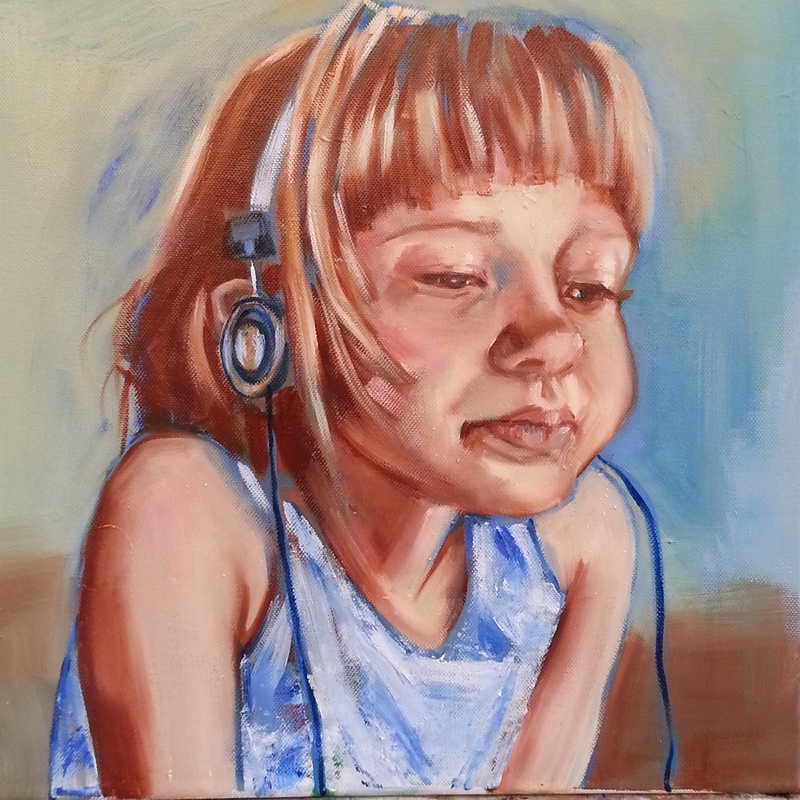 Finished the oil portrait of my youngest daughter. Had a really hard time to get her right eye to match the left in colour and proportion. The detail photo was shot indoors so it turned out a bit yellow but that is the final eye. I used Burnt Sienna, Cobolt and Ultramarine Blue. Yellow Ochre and Cadmium red with Titanium white for the skin. 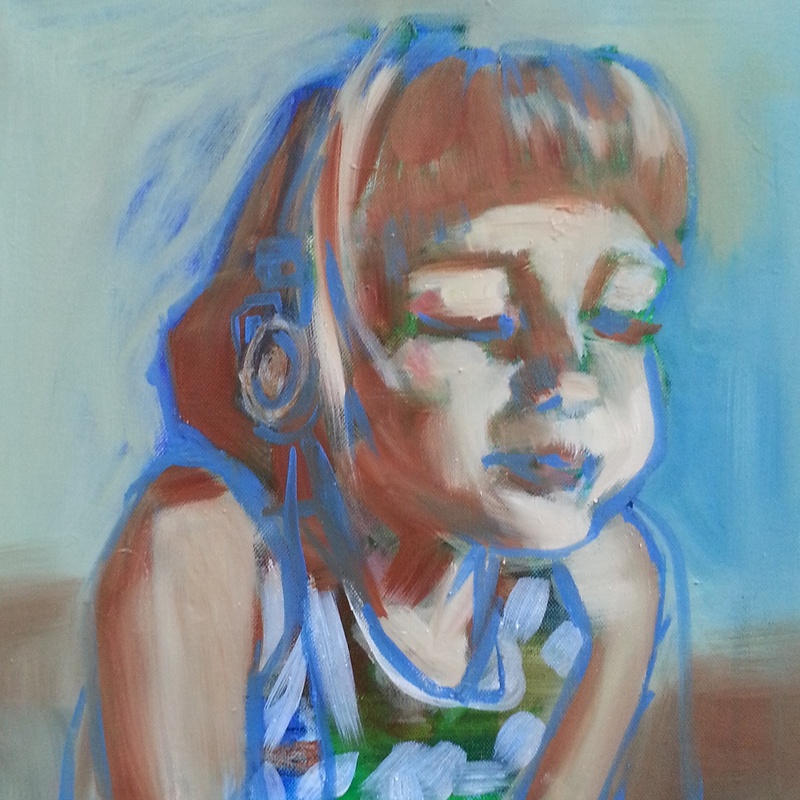 This entry was posted in Paintings and tagged oilpainting, portrait on May 30, 2015 by MaTo. This spring is much colder than last year but I am an optimist so I have carried the easel out to the porch. 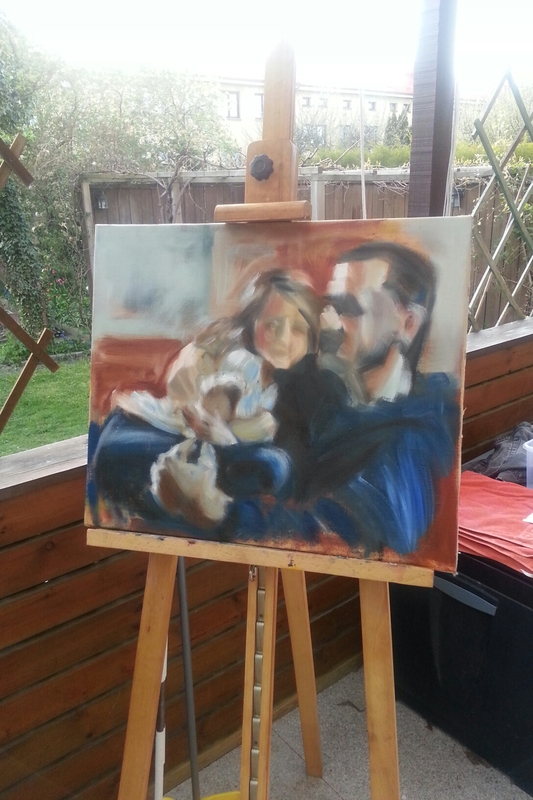 Painting in daylight beats indoors anytime but it is almost too cold to keep dexterity. 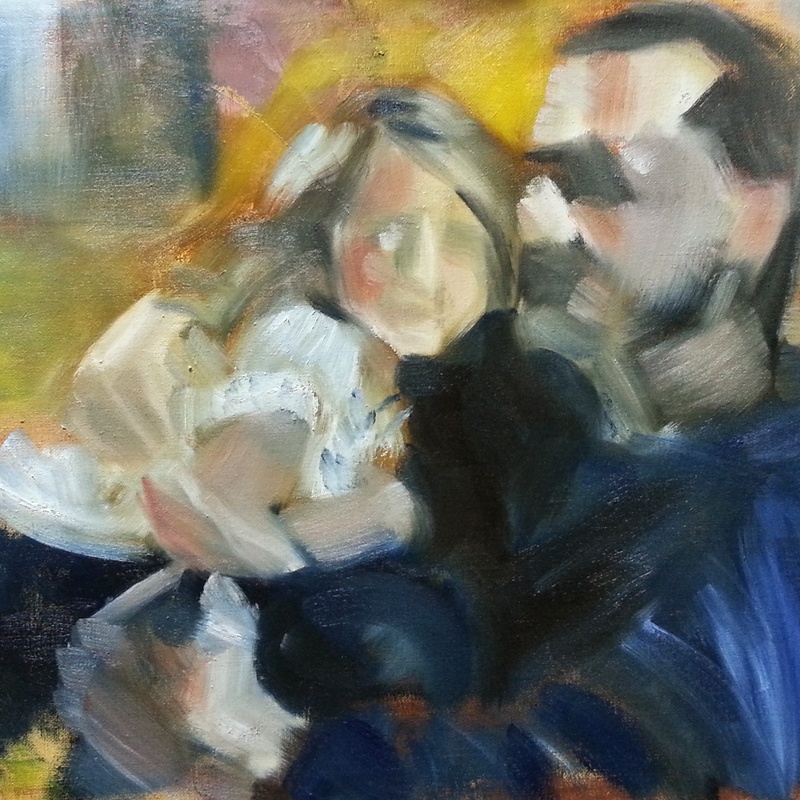 I have had two good days this month and worked on two oilpaintings, both repaints on top of other ideas. I have used photos for reference on both. 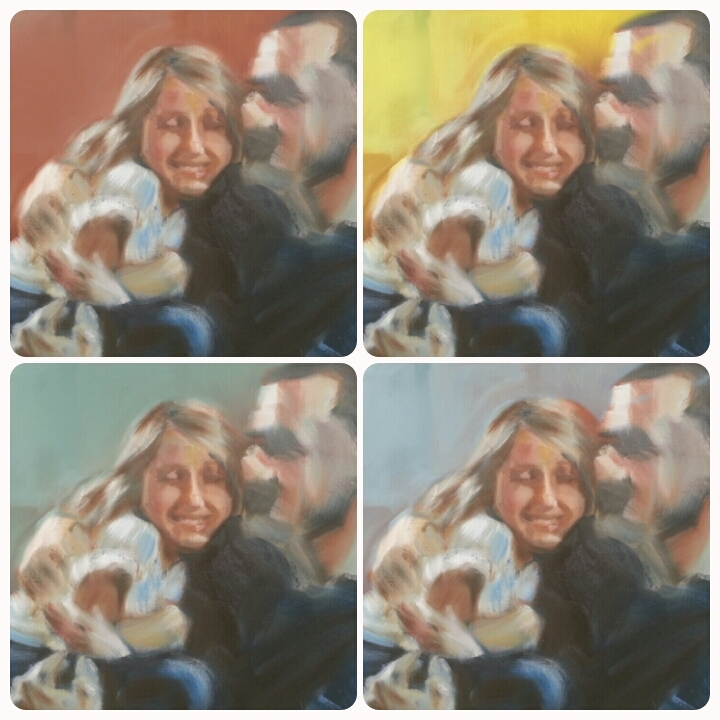 The first canvas was a failed portrait in oil. To avoid letting the old image distract me I turned the canvas to landscape. 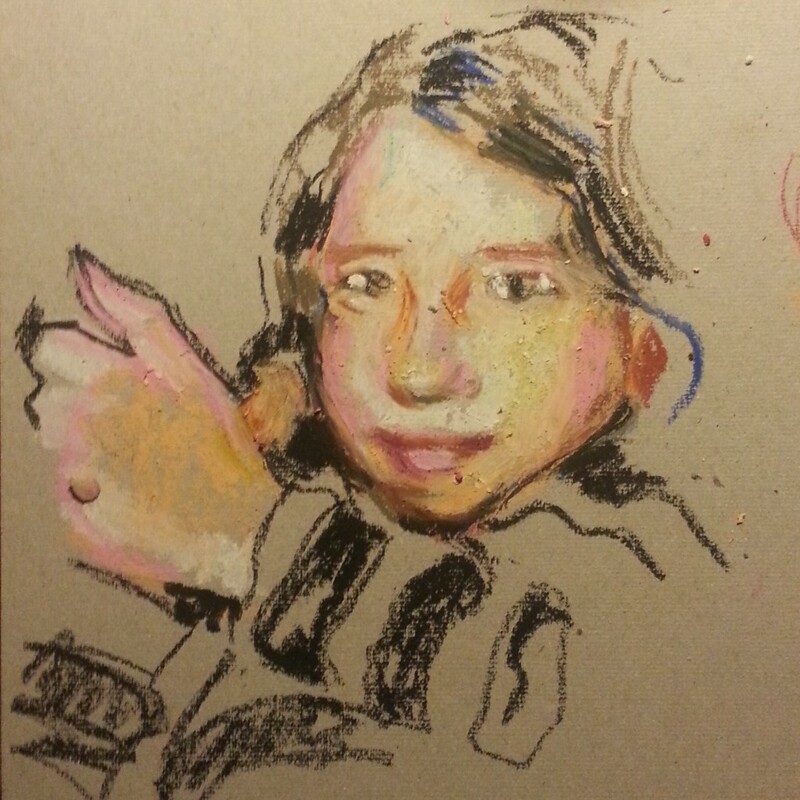 This is the loose sketch which I somehow prefer to the more finished state. Then I tried out different backgrounds digitally. Then I messed it up and left it for a while. 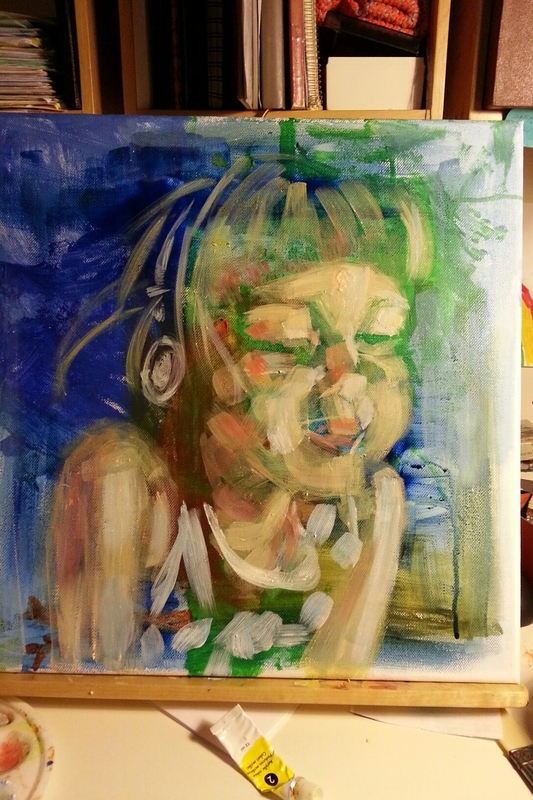 The second canvas was an unfinished acrylic painting by my daughter that she did not want to continue on. I continued with acrylics sketching indoors. I really liked how the background provided colour. 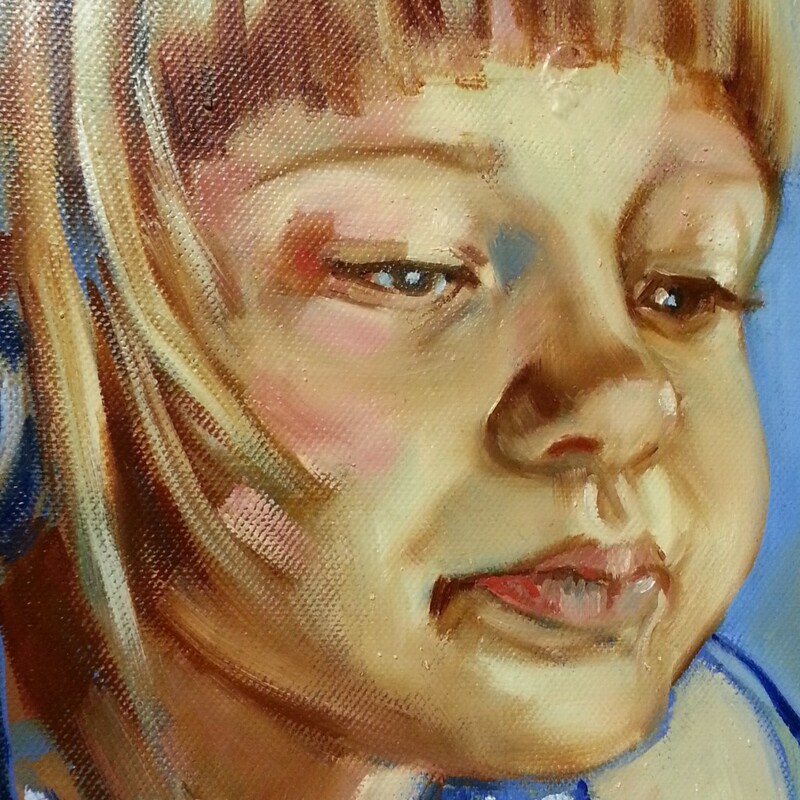 When I continued outdoors in oil I restrained myself to Ultramarine to pick up the blue from the acrylic sketch. 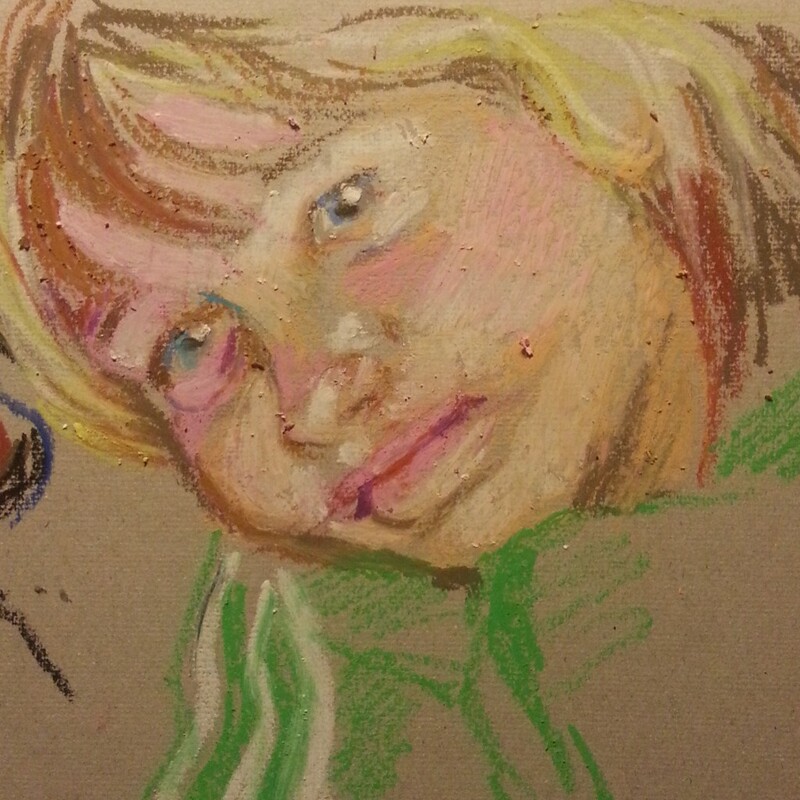 At that session I also had some of the dirty pastel green and burnt sienna left over on the palette from the other painting and decided to even out the background. For the skin I use titanium white with yellow ocre and cadmium red. 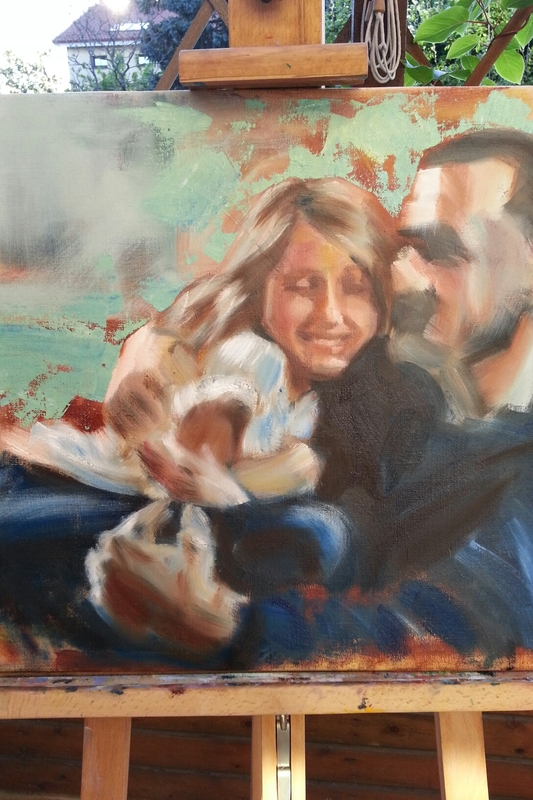 This entry was posted in Paintings on May 17, 2015 by MaTo. 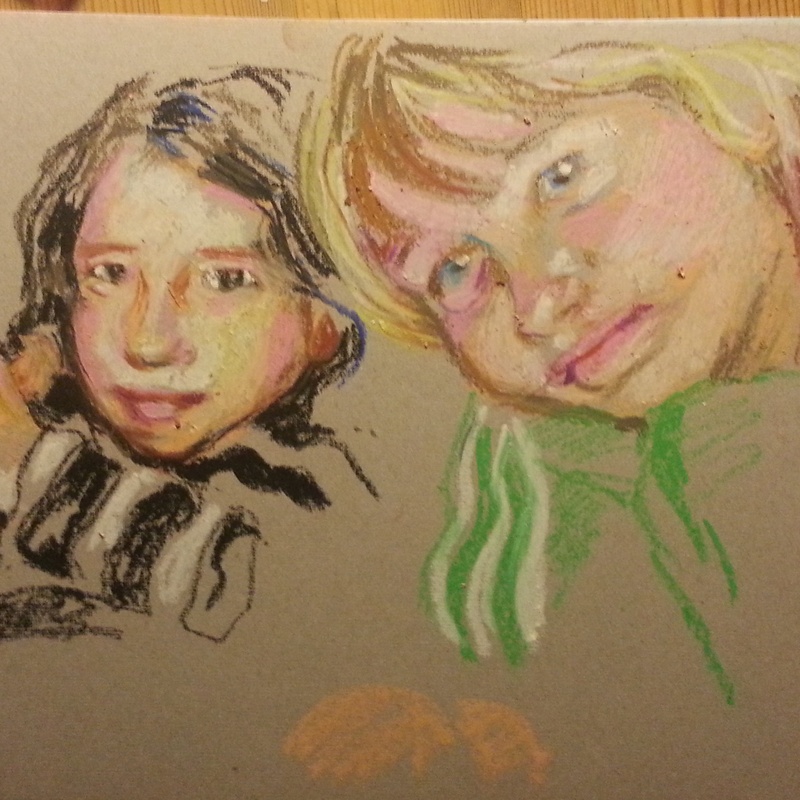 I have tried oilpastels a few times over the years but never quite fell for it. But this time it worked out ok. The secret is to be generous with the paint and have a rough surface. Then it feels almost like painting. It is easy to work over an area several times to get it the way I want it. For the portrait in the bottom picture I used cadmium yellow watercolour as a base. 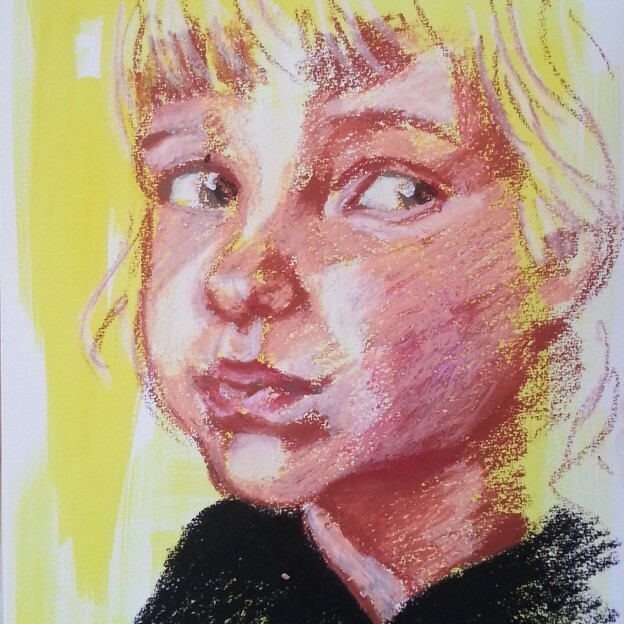 This entry was posted in Sketches & Drawings and tagged oilpastel on May 17, 2015 by MaTo.